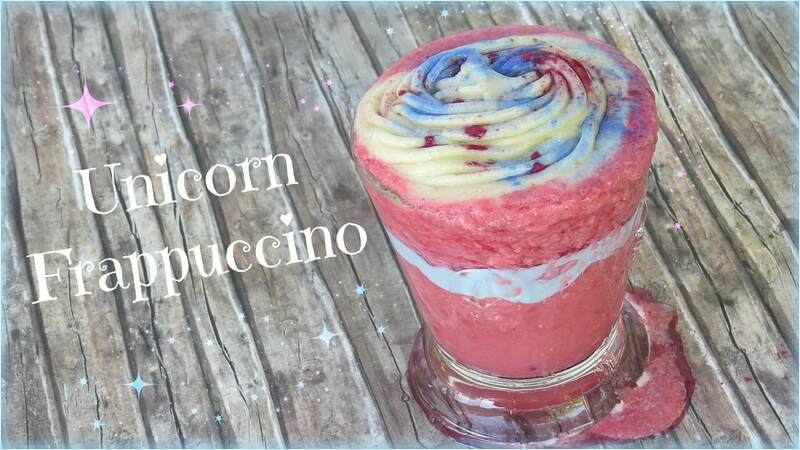 The unicorn trend is taking over and I hopped on the trend waggon to recreate this popular drink into something healthier. It might not taste like the original but it sure is super yummy too. It’s sweet, it’s creamy and it even got a little sourness from the raspberries. Stir up coconut yogurt and spirulina powder into a creamy blue deliciousness and fill it into a small piping bag or syringe. Blend up the frozen bananas into a super yummy nice cream and set about a half of it aside. Then blend up the remaining nice cream with coconut water and raspberries. Pipe some of the coconut yogurt onto the side walls of a glass and fill in your nice cream smoothie. Fill the remaining plain nice cream into a piping bag and squeeze it on top. Sprinkle it with a little bit of blue spirulina and acai powder add a straw and get enjoy your rainbow ride!